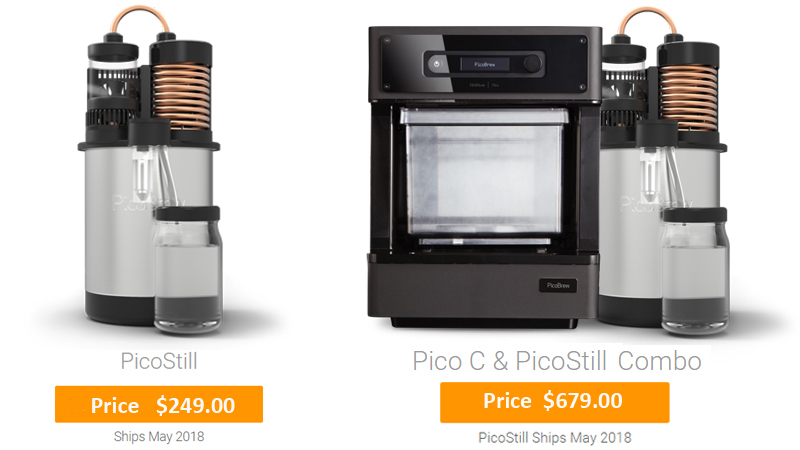 PicoBrew’s PicoStill: Home Distiller Starts Shipping! "Still not legal"
This is great news for all the home brewers and licensed brewers who want to try different stills safely and easily. The PicoBrew introduced the PicoStill home craft beer-brewing attachment dubbed as the PicoStill last April shortly after the introduction of the very economical Pico C. PicoStill is an accessory for the Pico C, the Pico C itself is a very modest bargain for the enthusiastic brewers as it is easy to use and clean. The Pico Model C became the most successful food Kickstarter campaigns after raising $1.927 million US dollars. PicoBrew has started shipping PicoStill to the Kickstarter Backers. The product is also available at the Company’s Website at a discounted price of $249 US dollars for the time being. 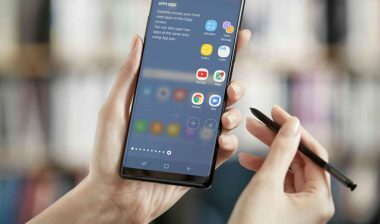 The original price offered by the company is $349 US dollars. The PicoStill is the new distilling attachment that sits on top of the PicoBrew products. It is affordable and does not compromise on quality. We can use it to distill batches of spirits and oils safely and accurately. You can use it to capture the essence and aromas of; hop oil (replacing the time consuming process of dry hopping), water, herbs, grains, essential oils and spices. PicoStill has a very eccentric design and it fits perfectly over the Pico Model C Keg and other Pico countertop brewing products like the Zymatic, and Z Series professional grade appliances. The device comprises of polished copper distilling coil and a clear glass infusion chamber that is aesthetically elegant. PicoBrew claims that a licensed distiller can produce appox. 500 millimeters of spirits from a 5 litre source, including vodka, whiskey, bourbon, moonshine, gin, brandies and schnapps. The PicoStill ensures the execution of your distillation process with its patent pending design that offers precise temperature control and integrated safeguards, such as auto shutdown of the heating if vacuum seal is broken and automatic separation of the Methanol from the heads. PicoBrew’s PicoStill works like a real still. The coil of the PicoStill heats a clean container of water and then, the vacuumed container lets it boil at a low temperature. The resulting vapors from the aforementioned process run through the diffuser extracting oils, and then cool back down with the help of another coil, condensing it back to liquid form in another container. Be careful to use PicoBrew for distillations of legal spirits and oils only. It is illegal to distill your own spirits in most of the states and nations, be sure to check with your local authorities otherwise, you may have to pay a hefty fine and can even go to jail. PicoBrew clearly states on their website: “PicoStill operators must act in compliance with their local, state and national laws. As with beer production on PicoBrew devices, compliance with regulation and national and international law is the responsibility of the PicoStill owner”. University student, Architect and a blogger. Motto: Eat, Sleep, Read, Write, Repeat!